OW Siccative is a balanced formulation of siccatives for luthiers who either make their own varnishes or use varnishes without siccatives. It is designed to be added to linseed and walnut oils, traditional components of string instrument varnishes. OW Siccative provides homogeneous drying “from the bottom to the top” regardless of the thickness of the applied varnish coating. This helps to develop and enhance the tenacity and suppleness of the coating, avoiding tensions and optimising the drying time to the utmost. It is easy and fast to add OW Siccative to the varnish. 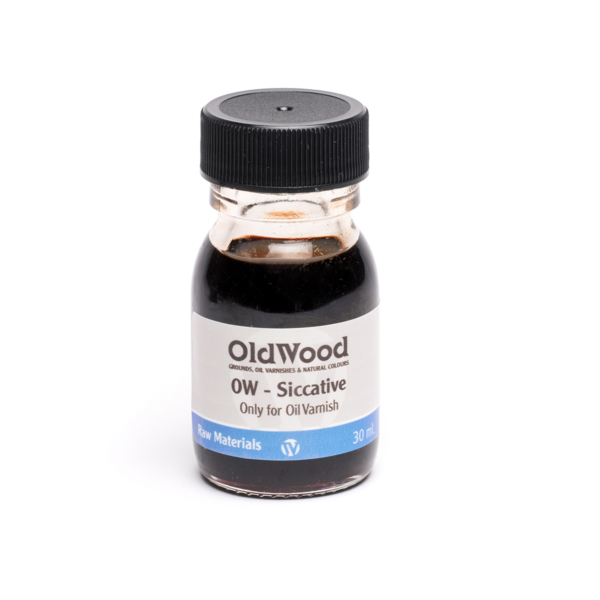 OW Siccative is formulated with NON TOXIC metallic components and it is an ODOURLESS solvent medium with a high flash point. It does not contain lead, cobalt or aromatic carbohydrates. Recommended Dosage: Add 5ml . or grs. (1 ml equals aprox . to 40 drops) of OW – Siccative per each 100 ml  or grs. of oil in the varnish. It is recommended add OW – Siccative in the solvent used for viscosity adjustment. 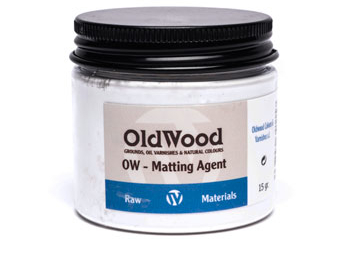 This guarantees a complete, fast and effective dilution of the drier in the varnish. IMPORTANT: Remember that total drying time depends; 1) on the quantity of oil included in the varnish; 2) the film thickness; 3) Environmental conditions of humidity, temperature, and the intense of radiation type (solar vs. UV).